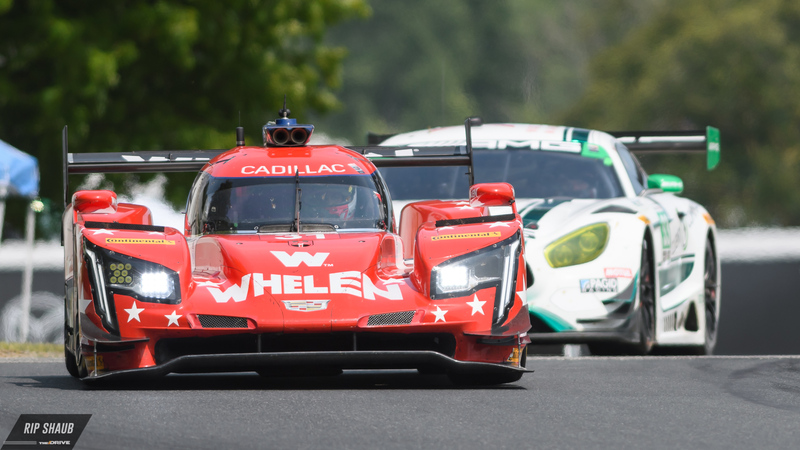 Strategy became the end-all decision maker during Sunday's IMSA race at Road America where teams in all three classes fought for narrow victory. Eventually, it was the ability to conserve fuel that earned the overall win for CORE Autosport's Colin Braun who battled from the back to make up the gap between himself and the increasingly-swift Mazda Team Joest squad. The No. 54 Oreca 07 was able to eek out its second consecutive W after achieving P1 at Canadian Tire Motorsport Park in July. A collective effort from team owner Jon Bennett and Braun was nothing short of masterclass as the final five minutes of the race saw success reveal itself when the No. 55 Mazda pitted for fuel with two laps to go, relinquishing its position to the LMP2-running outfit and awarding the Oreca global-spec prototype platform its third win of the season. From the green flag, polesitter Robert Alon built a lead in his No. 85 JDC Miller Motorsports that was eventually usurped by Felipe Nasr in the Whelen Engineering Cadillac DPi-V.R. The latter led the race through most of the middle stage before giving up his position, leaving Mazda's frontrunning entry to fight with a pair of Orecas for the top podium spot. Conclusively, Braun was rushed to the checkers by the No. 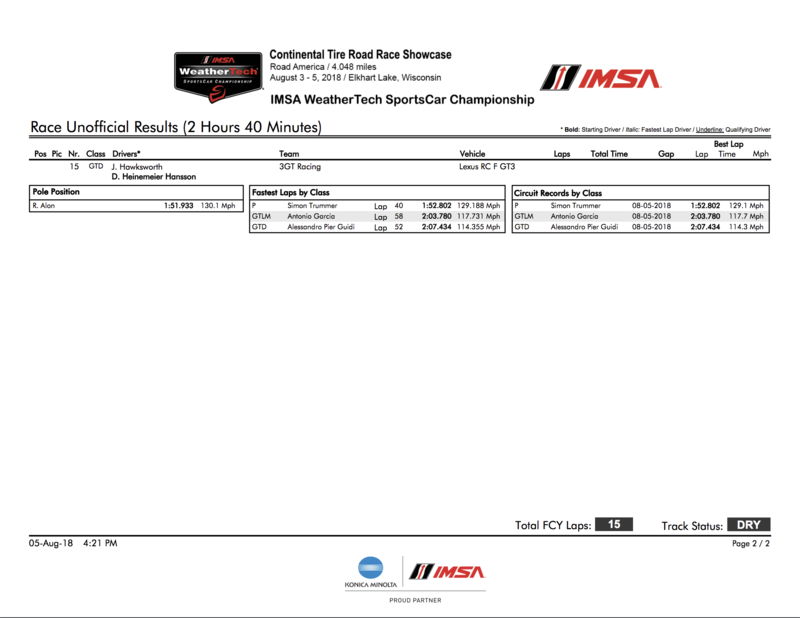 99 Oreca of Stephen Simpson who crossed the line 2.389 seconds behind the Texan. 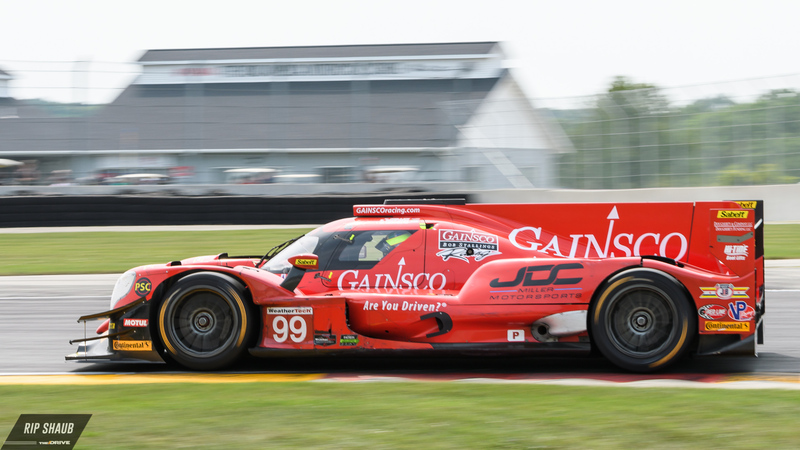 Nasr managed P3 at race end by just .008 seconds Wayne Taylor Racing's prototype of the same make and model. While the No. 66 Ford GT of Joey Hand and Dirk Mueller started on pole, it was the duo's sister No. 67 entry who took home class victory. Ryan Briscoe and Richard Westbrook came upon the win in the similar vein of CORE's Braun—conserving fuel. Late in the two-hour, forty-minute race, BMW Team RLL seemed to be coasting to its first-ever GTLM victory with the new M8 GTE racer. However, the No. 25 Bimmer piloted by Jesse Krohn suffered electronic problems and was forced out of the race, leaving the No. 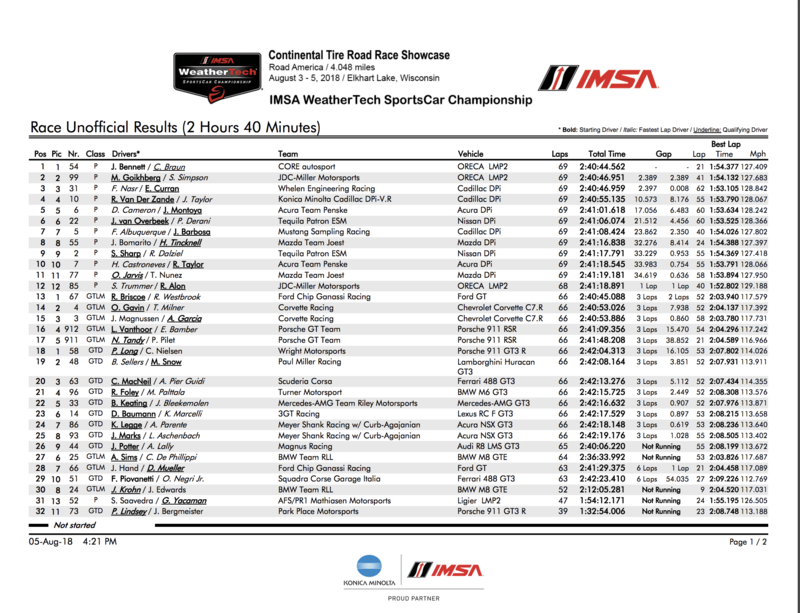 24 entry of Connor De Phillippi to revive the crew's shot. Disappointingly for the manufacturer-backed team, De Phillippi fell victim to further problems when his fuel cell ran dry and he witnessed Briscoe take the lead in the closing laps. As a result, the No. 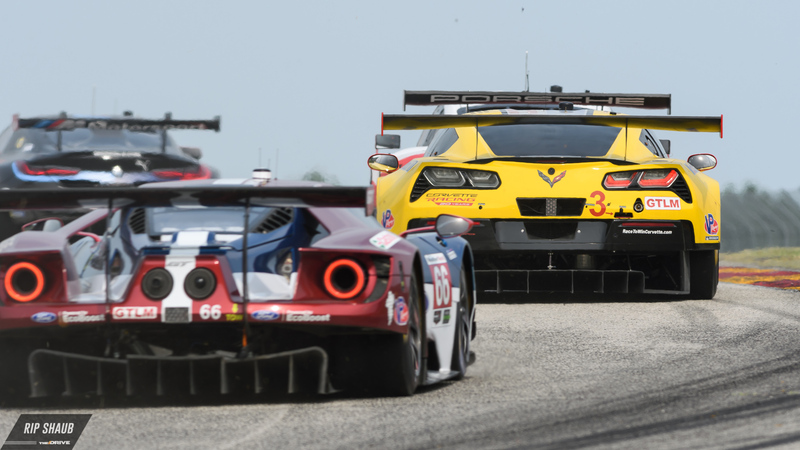 67 team earned Chip Ganassi Racing its fourth consecutive win and its third straight at Road America. 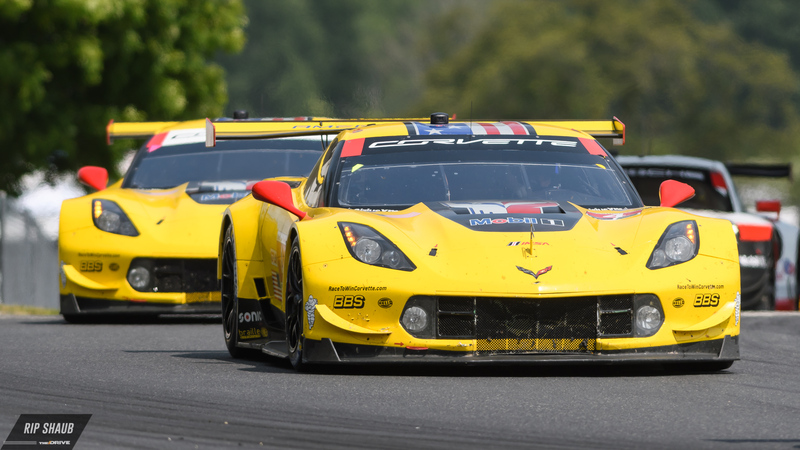 Corvette Racing's Tommy Milner trailed Briscoe and claimed second with a gap of 7.938 seconds while his GM stablemate Antonio Garcia finished third in the No. 3 C7.R. Both Porsches finished just shy of the podium as the pair of 911 RSRs came in fourth and fifth respectively with the No. 912 finishing ahead of its Stuttgart companion. GT Daytona pole winner Patrick Long lined up his No. 58 Porsche 911 GT3 R at the start and upheld the position once the competition was over. Long and teammate Christina Nielsen were contending with championship-leaders Paul Miller Racing in the No. 48 Lamborghini Huracan for victory. 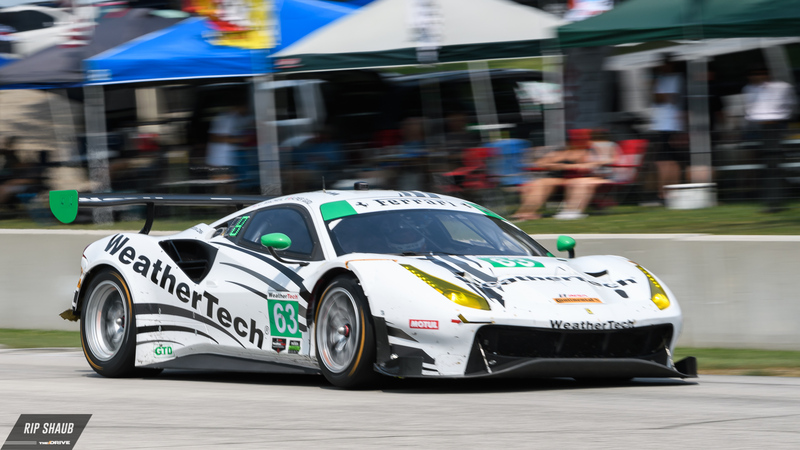 At race's end, they were able to fend off their challengers by nearly four seconds with Scuderia Corsa falling to third, still maintaining a podium result. 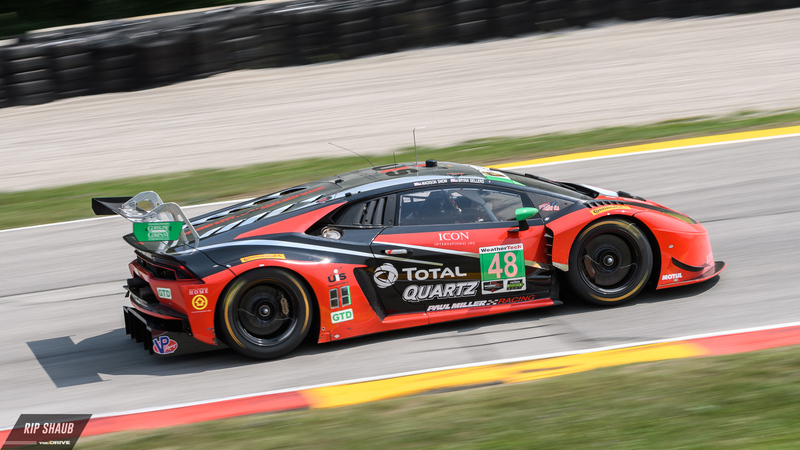 Thanks to its P2 finish, Paul Miller Racing extended its lead in the GTD title hunt over Katherine Legge who teamed with Alvaro Parente in the No. 86 Meyer Shank Acura for an eighth-place result. UP NEXT: The IMSA WeatherTech Sportscar Series heads to Virginia International Raceway for a GT-only round on August 17-19. There, teams from GT Le Mans and GT Daytona will clash at the scenic 3.27-mile course in hope of developing momentum to take into the final two rounds of the 2018 season.